This is the review of the Belgium Bacon Clubhouse – for the UK review click HERE. 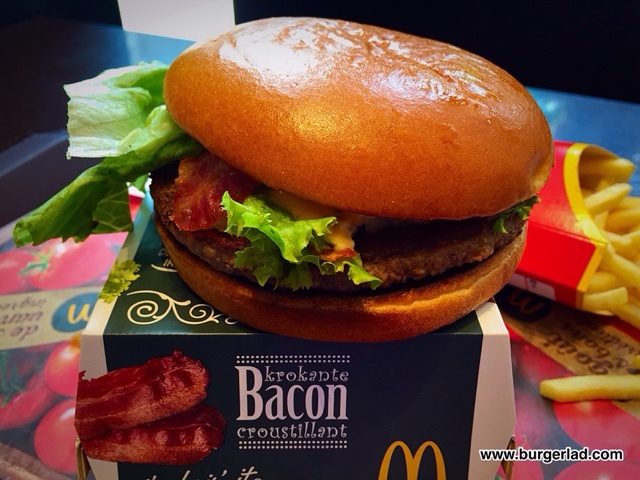 A brioche burger with 100% pure beef, a generous amount of crispy bacon, grilled onions and white cheddar cheese and Big Mac special sauce. Enjoy! Price: €4.90 / €7.10 meal. 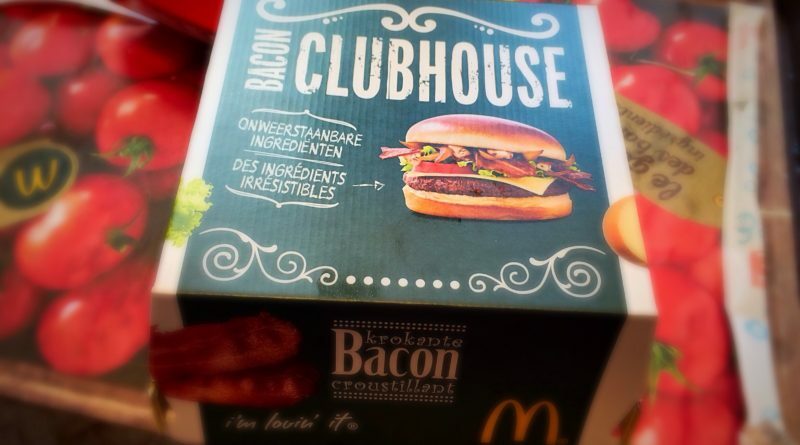 The Bacon Clubhouse seems to be circling the UK without touching down (yet). 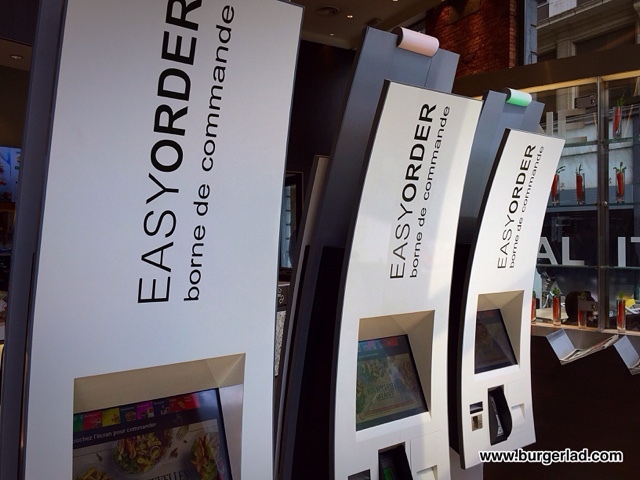 Burger Lad® has been reporting its introduction to several European, Asian and North American outlets*. And I bypassed the Clubhouse in Arizona, in favour of the Sirloin range. But in the UK, still no Clubhouse. 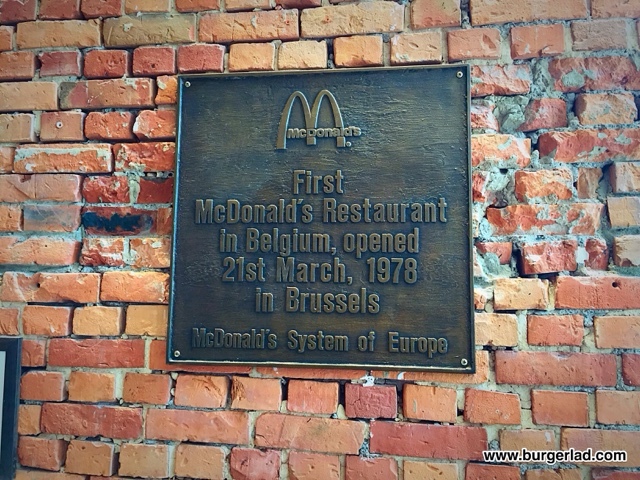 There was nothing else for it but to jump on Eurostar and hot foot it to McDonald’s in Brussels. So that’s what I did. And when I put my order in, and waited for my burger, most of the other people there were also waiting for a Bacon Clubhouse. There were some orders of chicken wings and tasty looking croissants and pain au chocolat – more things we don’t get in the UK. It seems like a very popular burger and it’s almost certain we will get it in Britain at some point in the next 12 months. It’s Burger Lad’s top tip, in fact and you’ll hear it from him first when it does come. Meanwhile in Belgium, my burger was ready. On a tray with fries and a Coke, I took it back to a table which I was lucky to get as this branch was just hitting lunchtime. It was quite busy and quite slow. The first thing one notices about the Clubhouse is its special box. The lettering and pictures of fresh ingredients shout FRESH. Look at me, I’m FRESH. The second thing about the Clubhouse is that it’s shiny. 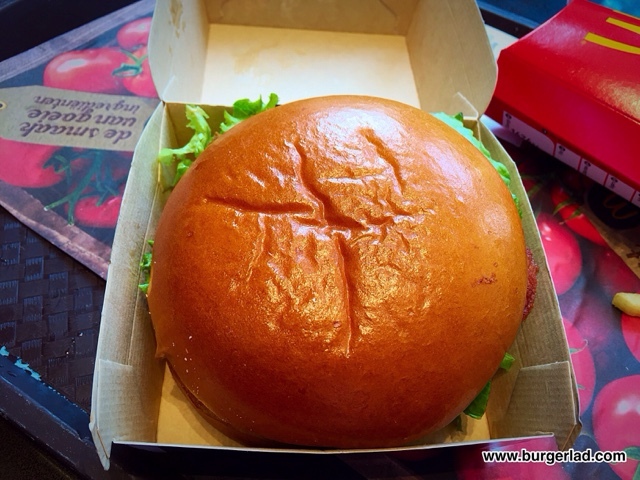 It gets a glazed bun that’s far more interesting looking than the usual McDonald’s bun. Inside, you could be forgiven for calling it a bacon cheeseburger. Yes it is, of course, but it’s a bit more than that too. It seems a bit wider for a start, and of course there’s the bun, but there’s a few twists inside that set it apart. On the box it’s labelled quite clearly “krokante” and it is indeed crispy. The bacon, the toasted bun – everything seems designed to give a crispness right the way down. And the onions, in there are some coarsely chopped grilled onions which add a different dimension to a bacon cheeseburger. Of course there’s cheese and lettuce. There needs to be. They do their thing gracefully. But the final ingredient is what gives it a very distinct and lasting flavour. 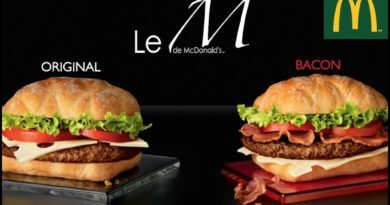 The “special” thing about the Bacon Clubhouse is that it is the first ever burger from McDonald’s other than the Big Mac to feature the iconic Special Sauce (alright we’ll exclude some variations of the Chicken Big Mac in that statement). 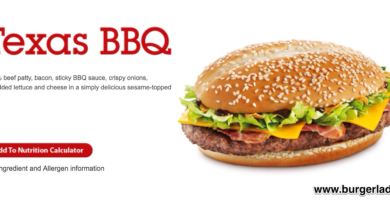 We don’t need to go into great detail about THAT sauce but it works very nicely with the bacon and really makes this feel like a “special” fast food chain burger. What I did find was that the sauce tasted just slightly different to the one found in a Big Mac but that could have been due to the other components used in the Clubhouse. Using the sauce with the mixture of other core menu ingredients makes this a bit of a no-brainer in terms of a UK release. 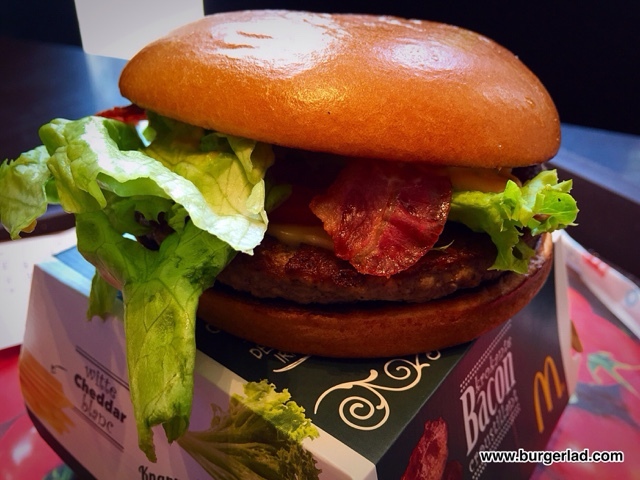 Think about it… McDonald’s has Big Mac sauce all the time alongside bacon, cheese and lettuce so would require minimum new ingredients to bring a premium new burger to the UK market. 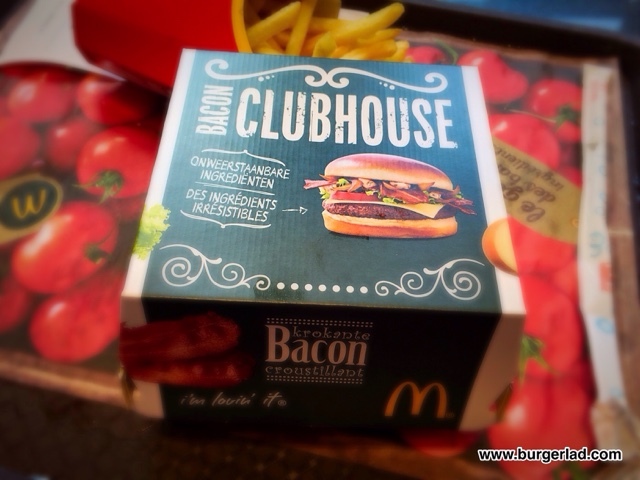 If the Clubhouse is to become a new McDonald’s classic, it had to have a good and distinct flavour, and they’ve absolutely nailed it. You could pick this out in a blind taste test. 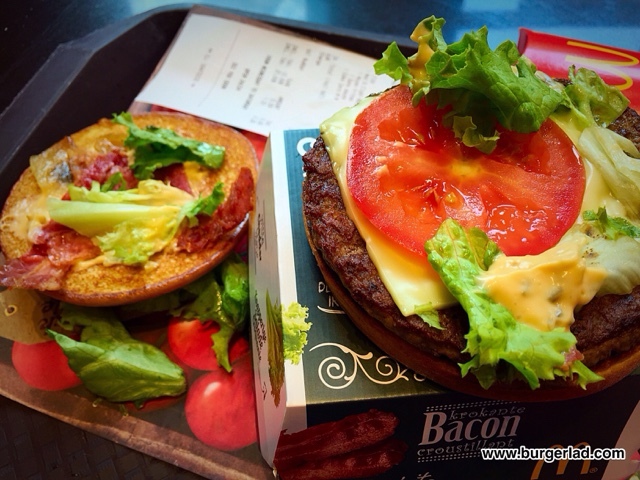 The Bacon Clubhouse then – was it worth the journey to Brussels? 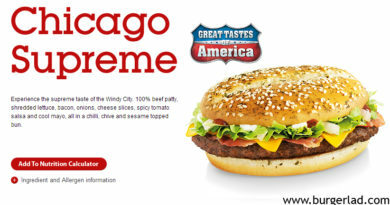 Well, we certainly aim to please at BurgerLad.com but what I can tell you is that when this inevitably comes to the UK, you’ll read it here first, and secondly you’ll be glad when it does. * USA, Spain, Netherlands, Switzerland, Sweden, France, Italy, Germany, Belgium, Malta, Pakistan and the Middle East.